REGARDING LAST WEEK, not all subs were like the K class. For example, there was the E class which, in some cases, was highly successful, particularly in the Dardanelles. 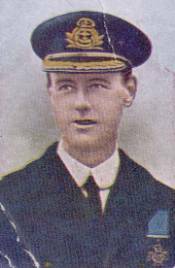 First to succeed in the Dardanelles was E14 commanded by Lt-Cdr Edward Courtney Boyle (actually B11 was first with Lt Norman Holbrook in December 1914, but his was only a brief visit but sinking the Messudieh in the processs). E14‘s task was to penetrate the Dardanelles, make her way through to the Sea of Marmara and cause as much havoc as possible to Turkish shipping and its supply routes to its troops at Gallipoli. Four other submarines had failed previously (E15, AE2, Joules and Saphir). Now, submarines could dodge the latter three when submerged, although even using the periscope (needed for taking bearings) would attract fire from the shore-based guns. The distance she had to travel up the Dardanelles was some 35 miles and it was assumed she could not do this submerged all the way against an unknown underwater out-flowing current – presumed anything from 2-6 knots. At some point she would have to surface and re-charge her batteries – and become a sitting target (or so it was thought – but they would have a go anyway!). It would have been very useful to know the underwater currents, as this obviously affected the speed of the submarine submerged. It would have been easy to have measured them during peacetime – and this may have been done as the British had a Naval Mission in Constantinople before the war. Here it trained the Turkish Navy right up until the outbreak of hostilities with the Germans and the Turks. Admiral Limpus (commander at the Mission) was asked if he or his staff could supply any useful information about the Dardanelles and particularly the currents. The reply, “There’s been a high level decision about that. Admiral Limpus and his staff have been instructed not to supply any information which would be used against the Turks.” “Why not?” asked one sub commander (Lt-Cdr Nasmith – see below). The reply, “Well, I suppose it would not be considered quite gentlemanly.” Can you believe that?! Never mind the safety of our submariners – it’s just not British, old boy, to take such advantage of the enemy – not ‘playing the game, what’! . Anyway, E14 successfully found her way under the mines and into the Sea of Marmara on 27th April 1915. It transpired that there was no opposing current at that depth and so progress was much quicker than anticipated. For the first five days she managed to cause some confusion among the Turkish shipping but did not sink anything. 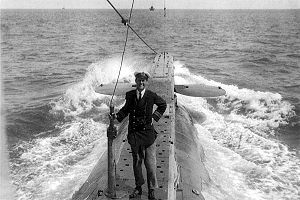 She did meet up with AE2, an Australian submarine under Lt-Cdr H.G. Stoker. Unfortunately AE2 was sunk on her return journey by the guns of the Sultan Hissar, and the crew were picked up by the Hissar. E14 had a bit of bad luck with her torpedoes (either missing targets or failing to explode – nothing unusual with either at that time) but she did manage to sink two gunboats and two transports, one of the latter, Gul Djemal, carrying some 4000 reinforcements to Gallipoli. As a result, this was the last time the Turks attempted to send troops to Gallipoli by sea (it was much more inconvenient and slower by land). What Boyle wished for was a deck gun for sinking smaller light ships rather than wasting torpedoes. 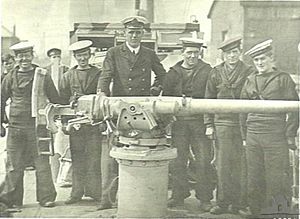 Bolye made a second successful trip into the Marmara, arriving on 10th June 1915 – this time with a six-pounder deck gun which was to prove most useful . He managed to cause suitable chaos amongst Turkish shipping before making a third successful visit. He received the VC for his first mission into the Marmara. Then there was E11 commanded by Lt-Cdr Nasmith. Fortune smiled on E11 as she also got through the Dardanelles, under the mines, to Marmara, without the need to surface. During May/June 1915, she too caused havoc amongst the Turkish ships running supplies from Constantinople to the front lines at Gallipoli. This she successfully achieved, torpedoing five large steamers, two small steamers and a gunboat. Also she was the first to attack shipping in the Golden Horn, the harbour at Constantinople, for 500 years. Nasmith always tried to retrieve any of his torpedoes that missed their targets. He did this by setting them to float and then disarmed their detonators and returned them to the sub. Not an easy – or safe – task, particularly in heavy seas. As with Boyle, he also had some great opportunities to destroy light vessels and even trains if he had had a deck gun. On her return through the Dardanelles, E11 snagged the mooring wire of a mine dragging it with her for some distance. If it came in contact with the sub and exploded the sub would have been completely destroyed and all her crew killed. 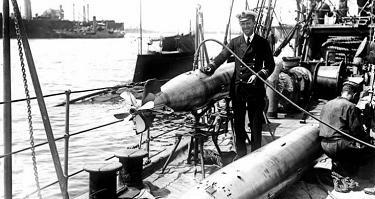 Nasmith skillfully lost it by carefully reversing his boat and the mine’s mooring wire slipped off the sub’s hydroplane and disappeared. 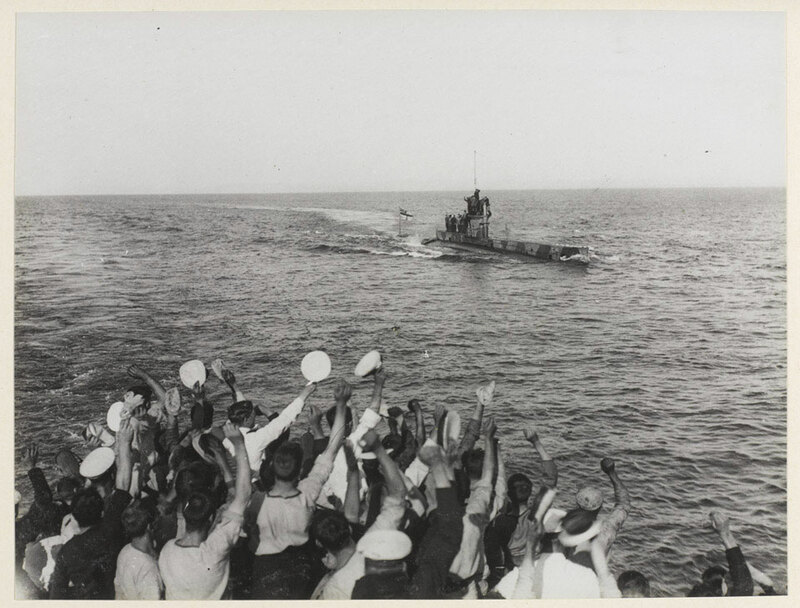 Her return was watched by HMS Grampus whose crew cheered her. During that trip, E11 sunk a large Turkish gunboat, two transports, one ammunition ship, three store ships and four other vessels. 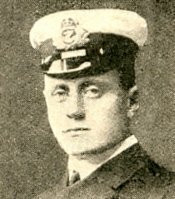 As with Boyle, Nasmith was awarded the VC. He went on to complete two more successful missions in the Marmara, sinking a large number of Turkish vessels including the battleship, Barbarosa (which he had been after on his first trip). If you read my last blog you will recall that the sub K3 sunk with Prince Albert (future King George VI) on board. Happily no harm came to him and he was rescued. 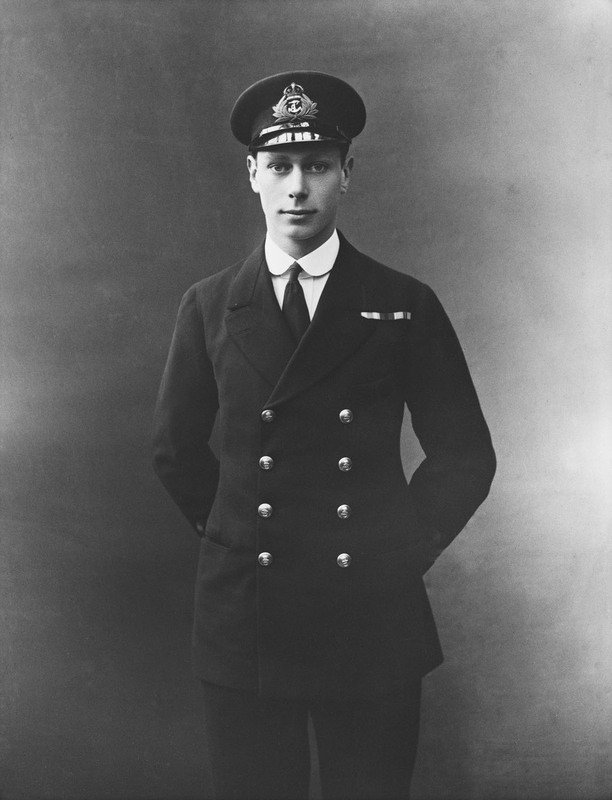 Interestingly, Nasmith, when a Lieutenant commanding the sub D4, also had Prince Albert on board as a passenger, along with King George V and Winston Churchill. He (Nasmith) managed not to sink and safely returned his VIPs to port. He is reported to have said that he wondered what would have happened to the course of 20th history if he had sunk that day! Doesn’t bear thinking about really. Finally, there was Lt-Cdr Archibald Douglas Cochrane in E7 (E12, with Lt-Cdr K. Bruce, had made it to the Marmara but the trip was cut short due to defective motors). E7 ventured into the Marmara at the end of June 1915 – with a six pounder gun (they were becoming the norm) – to relieve Boyle. On the 2nd July, E7 surfaced off the coast of Rodosto and was fired at by several Turkish riflemen but it was well out of range. E7 fired her deck gun at them and they all scattered like frightened sheep! It wasn’t until the 10th July that E7 had her first successful torpedo attack – on a circa 4000 ton steamer. Then, as had Nasmith, he attacked shipping at Constantinople, destroying ammunition vessels in the harbour near the Topkhana Arsenal. He then focused on trains – they were the main method of transporting troops following Boyle’s sinking of Gul Djemal (above) and, by now, also supplies. After spending three weeks in the Marmara, E7 was relieved by Boyle on his third venture into the Marmara on E14. Cochrane had sunk one gunboat, five steamers, seventeen large sailing vessels, and various light vessels that had been anchored off the Topkhana Arsenal. On his second trip to the Marmara, on the 4th September 1915, Cochrane and E7 were not so lucky. They came up against wire netting and attempted to break through at full speed (usual method). This did not work and E7 got caught up in the net. A couple of mines exploded near to her hull. This cleared her of the netting but Cochrane was forced to surface into the open arms of a Turkish ship. He and his crew were taken prisoner. 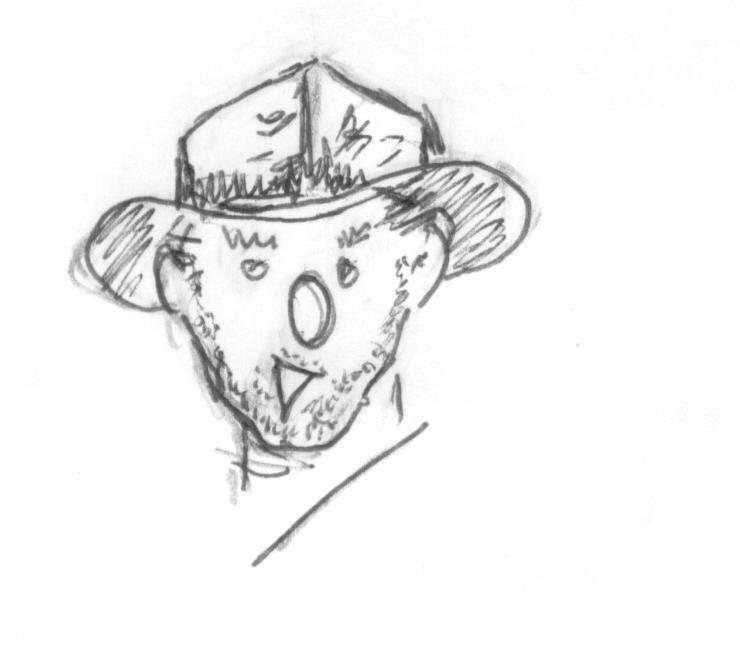 He was to escape only to be recaptured and then escape again – this time successfully. Cochrane was awarded the DSO and bar (latter for his escape). He didn’t get the VC as motoring under enemy mines was now too easy!! Between them, E11, E14 and E7 had sunk over 300 vessels including two battleships, a destroyer and five gunboats and had prevented the reinforcement of Turkish troops to Gallipoli by sea. Fine job, chaps! 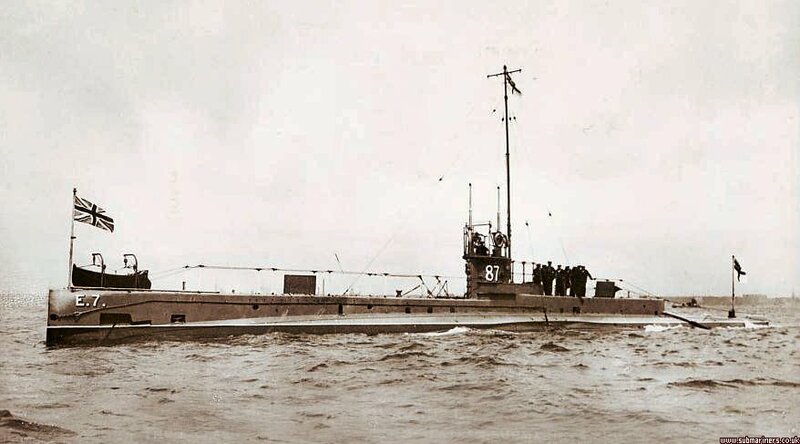 The last submarine in the Sea of Maramara was E2 and she was recalled on 2nd January 1916 as no longer required after the final withdrawal of troops from Cape Helles. Boyle ended his naval career as a Rear-Admiral. By 1926, Nasmith was Rear-Admiral, Submarines, and was to be appointed the Second Sea Lord in 1935, retiring an Admiral in 1946. 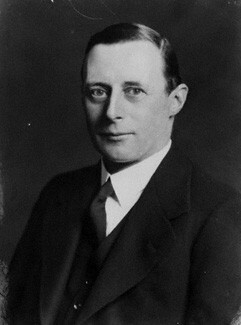 Cochrane retired from the Navy a captain, became an MP for East Fife then Dunbartonshire and ended up as Governor of Burma and with a knighthood. In His book, Destintion Dardanelles, Michael Wilson reports that in the early days of the war, neither Britain nor Germany envisaged the use of submarines as a means of waging war on the other’s commerce. When Lord Fisher suggested that this may be a future option for the Germans this was rejected out of hand by both Admiral Prince Louis Battenburg and Winston Churchill, with Captain (Commodore) Roger Keyes saying “we all discarded this possible behaviour as impossible and unthinkable.” Disgraceful behaviour – just not cricket!! Needless to say, the Germans did attack our commerce. I opened the morning newspaper and was dumbfounded to read in the obituary column that I had died. I quickly phoned the Dean of my College, an esteemed but aged colleague, Professor Aluicious Grantham-Hardrascal.